These terms & conditions (the "Terms") that shall apply to participation in, as well as, for any and all purchase(s) by any party ("Buyer") either directly from Auction Services Ltd. its employees, agents or representatives, herein after referred to as ("ASL") or in a transaction ("Transaction") in which ALS serves as broker, agent, liquidator, auctioneer. These terms apply to all Transactions conducted by ASL, without limitation including online auctions. The information is important and outline both your rights and responsibilities as a bidder as well as ASL. Terms shall remain in effect until either revoked in writing by the Buyer (Buyer withdrawal does not void previous sales terms) or by ASL at their discretion. If any provisions of these Terms are deemed to be illegal, invalid, or unenforceable, the legality, validity, & enforceability of the remaining shall not be affected. Additional "Terms of Sale" may be included as "Other Supplements" or "Addendums" for an auction event. These will be a form applicable for the auction type and apply to that auction in addition to these standard terms and conditions whether the auction is live, sealed bid, online and/or simulcast. All auctions will be conducted within the framework of these rules listed herein and other provisions that may be added by ASL via e-mail or as posted with a specific auction event. Furthermore…buyer acknowledges by registration that they understand all payment requirements, fees, premiums, contracts, supplements, performance requirements, schedules and deadlines associated with each auction event they are registered to participate in. The request to bid and acceptance of a bidder number acknowledges that you have read and understand any and all Terms and Conditions and you have certified this with either your written signature or by the legal and bidding electronic signature which you must accept to recieve bidding privileges. Lastly you do hereby agree that both you and ASL are expected to abide by the Terms and Conditions. Online Registration: To gain access to ASL's bidding system, you will need to register and obtain a bidder number. You must be eighteen years old or older to register. You agree that all information that you provide during the registration process will be true and accurate. You may be banned from participation in ASL's auctions indefinitely should you provide any false information during the registration process. Bidder agrees to not use any device, software or routine to interfere or attempt to interfere with the proper working of or any transaction being conducted on and during the auction sale. On-Site Registration: For live auction or simulcast auction events, you will need to register and obtain a bidder number on-site prior to bidding. You must be eighteen years old or older to register. You agree that all information that you provide during the registration process will be true and accurate. You may be banned from participation in ASL's auctions indefinitely should you provide any false information during the registration process Bidder's Duty to Update Information: Whether you are a new or returning bidder, you agree that if any of the information associated with your bidder number - including contact information and credit card information - changes at any time prior to, during, or after this sale, you will notify ASL of the change by updating your bidder profile. You can update your information at any time by clicking the drop-down tab under your name on the bidding platform and choosing "My Account". Terms and Conditions 1. Sale… constitutes all property including but not limited to Real Estate, Equipment, Firearms, Vehicles, Household furnishing, General Merchandise, etc... hereafter referred to as: ("Goods"). The Buyer understands & agrees: (A)	the condition of item(s) offered may vary; (B)	any description, sample or photograph of the item(s) furnished is solely for identification, & does not create any warranty expressed or implied. In the event of a discrepancy, the descriptions or announcement(s) will be the basis for confirmation of item(s); (C)	buyer has inspected or has had the opportunity to inspect, all of the item(s) upon which Buyer will be bidding and/or purchase; (D)	all item(s) are purchased & accepted by Buyer "AS IS", "WHERE IS" AND "WITH ALL FAULTS". WARRANTY AND CONDITION OF ITEMS SOLD: ALL LOTS AND ITEMS ARE SOLD AS IS, WHERE IS, WITH ALL FAULTS, AND WITH NO EXPRESS OR IMPLIED WARRANTIES. THIS SALE IS A SALE WITHOUT ANY EXPRESS OR IMPLIED WARRANTIES. NO ACTION TAKEN BY ASL OR ITS AGENTS IS INTENDED TO CREATE ANY EXPRESS OR IMPLIED WARRANY AS TO ANY LOT OR ITEM IN THIS SALE. ASL SPECIFICALLY DISCLAIMS ANY EXPRESS OR IMPLIED WARRANTIES INCLUDING, BUT NOT LIMITED TO, ANY WARRANTY OF MERCHANTABILITY, FITNESS FOR A PARTICULAR USE, CONFORMITY WITH ENVIRONMENTAL LAWS OR REQUIREMENTS, NON-INFRINGEMENT, ACCURACY, TITLE, OR ANY OTHER STATUTORY OR COMMON LAW WARRANTY. IT IS BELIEVED THAT ALL DESCRIPTIONS ARE ACCURATE DESCRIPTIONS ARE NOT GUARAUNTEED. 2. Payment… Item(s) must be settled for at the time of invoice and/or contract by the most approximate means determined by ASL. This can include: Cash, Approved Check, Bank Transfer (Please see sample letter), or Approved Credit Cards. (Checks & Wire transfers must be approved prior to bidding). Some online auction events will permit payment onsite at the time of pickup; or at a designated site for multi-site auction events; or will require automatic payment for the card on file to be completed at the time of invoicing, and prior to pick up. These payment arrangements will be listed in the auction details for each auction event. FOR ONLINE BIDDING: In order for ASL to process your winning bid, a working Visa, MasterCard, American Express or Discover must always be associated with your account. All cards are verified for $1.00 at time of registration to verify accuracy of Bidder information. Furthermore, after you have registered for an online auction, ASL may authorize the credit card you have placed on file for up to $1000.00. This additional deposit is not an automatic charge, but will only be done if the supplemental terms denote this or following review of your bidder information and/or the type of auction event. You will be notified of this advance authorization hold prior to it being placed on your card unless it is listed as a requirement for bidding in a specific auction event. Please note that this deposit is not a charge, only an authorization hold; if you decide not to make any bids during this auction, or if none of your bids are successful, ASL will not take any money from your account, and the authorization hold on your deposit will be lifted in accordance with your credit card provider and/or banking institution. ASL has no control over the release of the hold time frame. 3. Taxes… Buyer must also pay to ASL all applicable taxes, unless buyer has provided ASL tax exemption certification in a form, scope & substance to ASL standards. U.S. Dollars. Taxes are based on the state, county or city tax rates for the auction site or location which we refer to as point of delivery. Point of Delivery: Sales tax collection is now charged based on the applicable tax for the address location of the item(s) which we also refer to as "point of delivery" … no matter what method of purchase is used…. So even if you are having an item shipped to you… the point of acceptance by the delivery agent will be considered the Delivery Location that the item was shown in the auction information as the "auction location" or "auction site" and the appropriate sales tax for that location will be charged, collected and sent to the appropriate agency. No Refund of sales tax will be made once those money's have been reported and paid to the state agency. Therefore, all non-titled items purchased (Unless a Sales Tax Exception Agreement is on file) will be charged sales tax based on the address listed as point of delivery. Since titled items usually require the purchaser to pay other fees and/or the difference in taxes than the municipality or state in which the item is located… we will NOT charge sales tax on the sale of items which have a title even if you are a resident of the state in which we use as the "delivery location". Any and all taxes associated with this type item will be the full responsibility of the purchaser to report as well as the payment of the tax due by you in accordance with your state's rules and regulations. Applying for Tax-Exempt Status: If you wish to apply for tax-exempt status, you must submit a completed copy of ASL's tax-exempt form prior to this auction's closing. You can find the form in the form section of the main website. Please note that ASL may require bidders to submit a new tax-exempt form for every sale. Once you have completed your tax-exempt form, please e-mail the form to mail@auctionexpert.com or fax to 888.783.1498, so that we can review your information. If you do not follow the procedures discussed in this paragraph, ASL will be unable to consider identifying you as exempt from taxation, and you will have to apply directly to the applicable state for a refund. Please also note that, depending on the state whose sales tax applies, submission of ASL's tax exempt form may not be sufficient to entitle you to tax-exempt status. Please review the form and its contents carefully, and contact ASL with any questions you may have. 4. Sale of Goods… All sales are final. A successful bid at auction, whether live or online, constitutes a legally binding contract of sale. No refunds, returns or exchanges. Disposal of Unclaimed Items: In the event you refuse to pay for or abandon any item that you win at auction, ASL will have the option of reselling, removing, storing, or disposing of the unpaid-for or abandoned item. You understand and agree that you will be personally responsible for all deficiencies - and all legal-, collection-, transportation-, and storage expenses - associated with your delinquent account and/or abandoned items. In the event of resale, you agree to pay any cost associated with the resale as well as any deficiency between your original purchase price and the resale price. Non-Delivery: In the unusual event that an item has been totally mis-described or is unavailable for pickup during the published removal times, you must immediately notify ASL's onsite staff of the problem and file a claim for non-delivery within twenty-four hours. You understand and agree that if you fail to make a claim for non-delivery within twenty-four hours of your discovering the problem, your claim for non-delivery will not be honored. Claims for non-delivery may be filed by replying to the e-mail that informed you of your winning binds. Your claim must fully describe the nature of the problem that you have identified. The bidder's number is nontransferable. The buyer is responsible for all goods once the item(s) have been charged to them & full ownership will pass to the buyer, subject to full payment. Conditions of the item(s) as well as their security etc… are the responsibility of the buyer, & may be removed once the item(s) has been paid for. 4. Sale of Goods continued… No adjustment will be made for any item(s) which are unaccounted for, damaged etc… once they have been mark sold & charged to the Buyer. Buyer is solely responsible to provide personnel, equipment or material needed to pick up item(s) & assumes all responsibility for the removal of purchases & any and all risks associated with such removal including, without limitation, the responsibility for providing licensed, qualified & bonded professionals to ensure proper disconnection from all utilities. Photographs and Descriptions: ASL regularly posts item descriptions and photographs to aid bidders in the bidding process, and we make every effort to ensure that the descriptions and photographs that we post accurately represent the items being offered for sale. In some photographs, multiple items may appear to be joined as a single unit, however you should not assume that a lot consists of more than one item simply because various items appear connected or are featured in the same photograph. Also understand that, on occasion, the wrong photograph may be displayed for a given item. At all times, you are bidding on items as they are described on this website, not as they appear in any photograph. CHOOSE WISELY: We want everyone to get a good deal and most will. However, when you bid on the wrong item or decide an item is not suited for your intended use, our clients will not assume the cost of your mistakes. You agree that your failure to inspect or otherwise become fully informed about the items offered for sale in this auction will not be grounds for a refusal to pay amounts due to ASL nor for any claim against ASL. Bidder's Duty to Inspect and Investigate: You acknowledge that ASL is providing you with the opportunity to inspect the items being offered for sale in this auction. ASL strongly encourages you to attend the scheduled inspection for this auction. If you choose not to attend the scheduled inspection and are in doubt about the condition, completeness or suitability of a given item, so if you bid…please bid accordingly. Firearms: Auctions which include firearms and/or ammunition have additional rules and regulations associated with the purchase of them. Furthermore, at the request of our clients, we transfer all firearms through a licensed firearm dealer who performs the proper background check for the safe and responsible transfer of these items. Please refer to ASL's "Firearm Policy" for detailed information concerning these items. This policy is generally available for review and printing in the beginning of the auction catalog as one of the items and/or on the main website page under auction details/documents. As a buyer of firearms I Understand It Is My Full Responsibility to Make Sure the Firearm, Ammunition or Accessories I Am Purchasing Are Legal for Me to Own in My State or Jurisdiction. By Checking The Terms & Conditions Box, To Accept, I Agree That I Am Legally Allowed to Own the Items in My Shopping Cart as Detailed Above. Furthermore: I Hereby Certify That I Am 18 Or Older If I Am Purchasing Ammunition to Use in A Rifle or Shotgun And 21 Or Older If I Am Purchasing Ammunition to Use in A Handgun. I Certify That I Am 18 Or Older If I Am Purchasing A Shotgun or Rifle And 21 Or Older If I Am Purchasing A Handgun. 5. Auction fee… ASL at its sole discretion may impose a buyer auction fee (buyer's premium) on any item(s) offered for sale. This fee will be added to the final bid price of any item & will be become the total amount due (excluding taxes) whether sold live onsite or online. This "Auction Fee" is listed in the auction details section for each auction event. (Example: A 15% auction fee (buyer premium) is being charged for the auction event. You have a winning bid of $100.00, you will be charge of $115.00 plus applicable sale tax.) 6. Picking Up Your Item(s)… You are solely responsible for the safe and timely pick-up and removal of any items you may win at this auction. If you are unable to safely pick up and remove your items during the listed removal times that have been scheduled for this sale, you may incur additional fees or charges. (Please see delayed pickup or Shipping Policy Document). Some auction events may not be eligible for delayed pickup… this will be noted in the auction details. However, all items not picked up as listed will be charged as listed on the invoice, unless you have emailed us as denoted in the Delayed or Shipping Policy and requested shipping or delayed pick up…. otherwise the appropriate fees will also be charged. Please note ASL does not guarantee that every item can be shipped and as the buyer you should verify this prior to bidding. ASL does not hold items beyond the published removal times or the delayed pickup times if applicable. Furthermore, ASL is not obligated to issue you a refund if you are unable to pick up and safely remove your items during the removal times. If a given item is identified as eligible for shipping, please follow the specified instructions to arrange for shipping. Bidder's Duty to Remove Items Safely: Again, you are solely responsible for the safe pick-up, removal, and transportation of your items. You agree that the pick-up, removal, and transportation of your items will be solely at your expense and at your risk. You further agree that you will be responsible for any damage that you or any of your agents cause during any preview or removal period, and also agree that the credit card associated with your online account may be charged for any expenses incurred and/or repairs necessary as a result of any damage that you cause. Please note that ASL does not have personal or equipment onsite to assist in the moving, lifting etc…unless stated in the auction details section of that auction event or in the lot description of that item(s) purchased. Release Upon Presentation of Receipt: You understand and agree that ASL is only obligated to release your items after you or your agent presents a Paid Sales Receipt and satisfactory identification documentation. You further understand and agree that it is your duty to ensure that any agent picking up items on your behalf has a copy of your Paid Sales Receipt to present at the pick-up location. You explicitly authorize ASL to release your items to any person in possession of your Paid Sales Receipt. No item will be released to any person unless that person presents a Paid Sales Receipt listing the item in question. Abandonment: You understand and agree that any item that you do not pick up during the published removal times will be considered abandoned. You understand and agree that you will not receive any refund in connection with any item that is considered abandoned, and that you will be charged at ASL's sole discretion a reasonable fee for the storage, removal, and/or disposal of any such item. Discretionary Late Removal Policy: ASL may, in ASL's sole and absolute discretion, allow you to remove an item that you have won at auction at a time beyond the published removal times in exchange for a late removal fee (the "Late Fee"). The Late Fee with respect to any given auction is outline in the "Delayed Pickup and Shipping Policy Document which is listed in the top of the bidding catalog and/or under the document section on the main auction page for that auction event. Please note that the minimum fee with respect to any given auction is $15.00. Please note that ASL is not required to allow the late removal of any item, and if ASL does allow for late removal, ASL is not required to allow for the late removal to continue for any given amount of time, and may set an end time for such late removal in ASL's sole and absolute discretion. Any item not removed during the period during which ASL agrees to allow for late removal will be considered abandoned, pursuant to the terms of the foregoing paragraph. Disposal of Unclaimed Items: In the event you refuse to pay for or abandon any item that you win at auction, ASL will have the option of reselling, removing, storing, or disposing of the unpaid-for or abandoned item. You understand and agree that you will be personally responsible for all deficiencies - and all legal, collection, transportation, and storage expenses - associated with your delinquent account and/or abandoned items. In the event of resale, you agree to pay any cost associated with the resale as well as any deficiency between your original purchase price and the resale price. 7. Closing… ASL's online auctions are designed to mimic traditional "live" auctions. For this reason, this auction will have a staggered, dynamic closing. Simulcast auctions closing times are determine by ASL. Staggered Closing: Online auctions will automatically begin to close at a rate set for that auction. There is no advantage to waiting to the last few seconds to place your bid online… delaying can result in the loss of an item due to the lag time in communication speed's of your computer or internet connection. 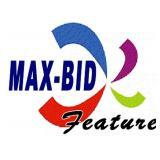 It is recommended that you utilize the "Max-Bid" feature and allow the automated system place the next appropriate bid for you. It does not place your full bid only an amount enough to place you in winning position. You can change your max-bid amount at any time…. even if you are the current high bidder. Lastly, you can also bid again even if your maximum bid has become insufficient to win that item. Dynamic Closing: In order to afford each bidder ample time to bid on items we utilize a Dynamic Closing which automatically extends the ending time to a predetermine amount of time whenever a bid is placed within the last three minutes leading up to an item's scheduled closing time. Link Lots: Lots of similar or matching features etc… may be linked so that the time extension will be extended on each linked lot to assist a bidders chances to purchase the entire grouping. However, you must bid on each lot separately and once a lot has closed, even if its linked will not become active again, so bidding on and winning link lots must still be done in order… only the time of the last lot will not end before the one above it. 8. Winning Bids: If you place a bid either online or live onsite, and your bid is determined to be the winning bid, you become obligated to pay for the item that you have won at the price you gave as your bid. Online Notification: Only after the close of the last lot in in this auction, will ASL contact you by e-mail to let you know which items you have won. This e-mail notification will be the only contact you receive from ASL about your winning bids; this means that you are responsible for checking your e-mail following the close of the auction to determine what items you have won. For auction events that close after 6 pm, (Eastern Standard Time) invoices are generally sent the following morning. Auction events that close prior to 6 pm (Eastern Standard Time) are sent within one hour following the auction event. If you do not receive an e-mail identifying you as a winning bidder, it is because ASL has no record of your having placed a winning bid. Please add our email to your Safe Sender list and check your Juke or Spam folder to make sure important emails from us are reaching you. Our system records and documents all emails sent, therefor any failed or rejected emails that are sent will be considered delivered and it is the Bidders responsibility to check for receipt. Failure to do so may result in additional charges to your card as outlined in section 6. Bid Inquiries: If you believe that you placed a winning bid, but do not receive an e-mail, you must notify ASL by sending an e-mail to info@auctionexpert.com. explaining your situation by 9:00am on the day after of the auction has closed. You agree that ASL will be the sole authority regarding the identification of winning bids. 9. Payment… At the conclusion of this auction, the credit card associated with your account is subject to be automatically charged for the full price of your purchases. For this reason, it is imperative that you provide ASL with a credit card that can bear the weight of all of your purchases at the moment the auction closes. You can update your credit card information at any time by clicking the "My Account" tab and choosing "Update Credit Card." Suspension: You understand and agree that if, at the end of this auction, ASL is twice unable to charge your credit card for the entire amount of your purchases, ASL will suspend your online bidding privileges indefinitely. ASL will only reinstate suspended accounts if the suspended bidder hands over a $1,000 deposit to be held in escrow for a period of one year. Chargebacks Prohibited: You acknowledge as a registered bidder that your bidding privileges shall be considered a service and that your failure to pick up item(s) invoiced does not warrant a decline in payment or latter chargeback. You agree to accept all charges placed on the credit card associated with your account, by ASL and you will not charge back any amount that ASL charges to your credit card. You agree that this provision applies equally to amounts charged in connection with any items you have won and any costs or fees discussed in Sections 5-8 of these Terms and Conditions. 10. Disputes…. ASL, in its sole discretion, shall settle any disputes arising at any sale. 11. Reserves…. ASL in its sole discretion shall reserve the right to establish a reserve or minimum price on any item without having to announce, post or publish notice. 12. Refusal…. ASL in its sole discretion, reserves the right to refuse the bid of any person without providing any notice or reason therefore. 13. Bid Increments… ASL in its sole discretion shall control all bidding increments. 14. Lots & Bidding … All aspects of this auction are subject to change without notice. ASL reserves the right to - at any time and in ASL's sole and absolute discretion: A.	add or remove items from the auction; B.	split or combine lots; C.	add minimum bids or reserve prices; D.	cancel, suspend, extend, or reschedule the sale of an individual item, lot, auction, and/or auction event; E.	make changes to the auction's closing, inspection, or removal times, or; F.	take any other action ASL deems necessary to affect the fair conduct of this sale or protection of buyers', sellers', or other parties' interests. In the event a seller withdraws an item from this auction prior to the close of the auction, ASL may leave the item on the catalog and buy the item back on behalf of the seller to establish ASL earned commission and the buyer's premium due to ASL from the seller. If there is a dispute of entitlement, ASL will determine the successful bidder or may elect to re-auction the item in dispute between conflicting parties or in another auction event. ASL reserves the right to hold all bulk bids in abeyance & at the conclusion of the auction or after the offering of a specific item, to accept either the bulk bid or the aggregate of the individual bids received during the auction, whichever 14. Lots & Bidding continued… is higher. Reporting Bidding Errors: You should carefully review every bid you choose to make before submitting that bid. ASL will not automatically assume that any bid - even a bid that increases your own, lower bid - was made in error. Many bidders routinely increase their own bids to price an item out of the reach of other bidders. If you mistakenly increase your own bid at any time during the auction, or make some other bidding error (e.g. placing your bidder number in the price field), you must immediately contact ASL by email for online auctions at mail@auctionexpert.com or in person to ASL if during a live or simulcast auction event. Reports of bidding errors must be made via e-mail or in-person at the time of the error; no other form of notice will be accepted or accommodated. 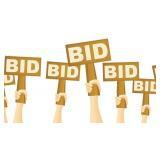 Timeliness of Bidding Error Reports: All bids are considered valid and active. Reports of bidding errors that provide adequate time for correction will be accommodated… however should ASL not be able to correct a bid placed by the bidder before the lot or item closes the bid will be consider live and valid and the bidder is responsible for its placement. Bidder's Duty to Report Fraud: You are responsible for all bids made from your account. If you believe that an unauthorized person has gained access to your account, you must notify ASL immediately by sending an e-mail to info@auctionexpert.com. You must also report the incident to the relevant law enforcement authorities and send ASL a copy of any resulting police report. You understand and agree that if you do not promptly report any suspected fraud to ASL and to the relevant law enforcement authorities, you will be held personally responsible for all purchases made using your account and bidder number. 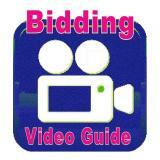 Please note we record all electronic address for each bid placed on our system. 15. Information Provided… by ASL to buyer(s), including without limitation, any advertising, sales catalog or otherwise, is subject to deletions, errors, additions & changes without notice. Although information is gathered from sources thought to be reliable. ASL shall have no responsibility whatsoever for any information provided to any party. Buyers shall rely solely on their investigation & inspection of any Goods. Any final announcements made on the day of the auction take precedence over any printed materials or notice. 16. Additional Terms & Conditions... ASL may add other terms & conditions of sale at any time prior to bidding. These additions do not alter in any way the basic terms & conditions of sale. Headings herein are for convenience only & shall not limit or alter the Terms hereof. 17. Hazardous Materials… ASL has no expertise in the identification, handling, or disposing of hazardous materials. ASL makes no representation concerning hazardous materials. 18. Agency… These Terms and Conditions do not - nor are they intended to - create any agency, partnership, joint venture, employer-employee, or franchisor-franchisee relationship. These Terms and Conditions cannot be altered except in writing by ASL. ASL in all transactions working on behalf of an owner or third party, shall act as an agent only & shall have no liability whatsoever for the acts of any principal. 19. Liability: In all cases, ASL's liability, and the liability of the seller of the items in this auction, will be limited to the refund of your purchase price. ASL will not be liable for any amount in connection with the postponement or cancellation of this auction, or the withdrawal of any item or lot from this auction. In no event will ASL be liable for lost profits or any special, incidental, or consequential damages arising out of or in connection with this auction or any related sale or transaction. No Liability for the Acts of Third Parties: ASL is not responsible for any action taken by any seller, bidder, or other third party before, during, or after this auction. No Liability for Site Malfunction: You understand that Online or Simulcast auctions rely on devices and programs that may malfunction without warning. You agree that ASL will not be liable for any error or inconvenience that may be the result of such a malfunction. You further understand and agree that ASL may void or suspend any sale, or resell any item, if ASL determines a transaction to have been affected by any site malfunction. 20. Acknowledgement… If the buyer fails to comply with any of these terms, ASL shall have all rights & remedies available. ASL may retain all deposits & payments received & may resell any Goods that Buyer fails to purchase. Buyer shall be responsible for all cost, losses, or damages suffered by ASL, their clients (1) as a result of Buyer's breach of any of the terms, including, without limitation, lost profits & consequential damages, & (2) incurred in connection with the enforcement of ASL rights, including without limitation, legal fees & cost & expenses related to the resale of Goods, including storage & rigging fees. Governing Law… The validity, construction & performance of these Terms shall be governed by the law of the State of South Carolina. All complaints and/or hearings will be filed & heard in the county in which ASL lists as their primary place of business. Unless stated specifically in writing on the Invoice or Contract, no statement(s) of any other paragraph shall be construed in any way to contradict the provisions of these terms. Claims and Choice of Venue: Any claim or controversy out of or relating to these Terms and Conditions, or to any breach thereof, will be settled either (1) in Anderson County, Anderson, S.C. Small Claims Court, if the claim in question amounts to less than $5,000, or (2) by means of arbitration in accordance with the Commercial Arbitration Rules of the American Arbitration Association, if the claim in question amounts to more than $5,000. In the event of arbitration, judgments upon the award rendered by the arbitrator may be entered by any court having jurisdiction. You agree that all claims will be litigated or arbitrated on an individual basis, and will not be consolidated with any claim made by another party. Venue in every case will be Anderson County, Anderson, S.C. You agree that any judgments awarded may be applied to and collected from you personally or corporately. Should any party file an action contrary to this paragraph, the counterparty may recover reasonable legal fees and costs. Further, if you bring a claim against ASL and do not prevail, you agree that you will reimburse ASL for all reasonable legal fees and costs. 21. Interim or Preliminary Relief… Notwithstanding the contents of section #20 of these Terms and Conditions, you agree that ASL may seek interim, preliminary, or injunctive relief without the necessity of any bond or similar deposit in a court having jurisdiction. 22. Acts of Others… Persons in attendance during inspection, the sale or during the removal of merchandise assume all risks of damage or loss to persons, property, or merchandise & shall exercise proper precautions at all times for the protection of persons & property & shall comply with all safety & health requirements as directed by ASL, Owner, local, state & federal regulations. ASL, Seller, Property Owner, shall not be liable by reason of any defect in or about the condition of the premises on which the auction is held. Buyer specifically releases ASL, Seller, & Owner from all liability thereof. YOU MUST BE AT LEAST 18 YEARS OF AGE TO BID ON LONG RIFLES AND SHOTGUNS. ALL FIREARMS WILL BE TRANSFERED THROUGH A LICENSED FFL DEALER. 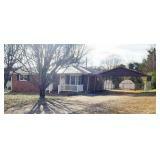 You set the price at Auction for this Brick 2 bedroom, 2 bath home just off Highway 24. This home has had numerous updates and perfect starter or retirement home. The home has over 1100 square feet of space with fenced yard and bonus lot. Some the great features of this home include lifetime warranty "Window World" insulated window, 50 year metal roof, nicely appointed kitchen, and covered carport. The AC/Heat unit is new and is ready for you to move in.